St. John's Premier Taekwon-Do Institute! Learn Taekwon-Do from a World Champion! For ages 3 1/2 - 5. This program is designed to concentrate on your child's Focus, Discipline Leadership Skills & Physical Abilities. Ages 6 and up. 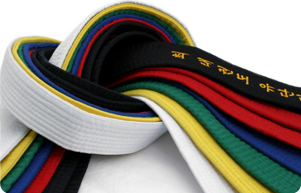 When you complete your training as a color belt can become a black belt, you will be certified and recognized by the ITF. Located in St. Johns County, Florida.